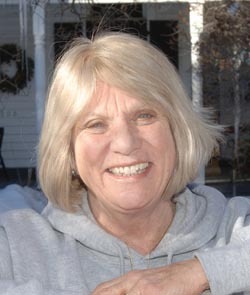 Councilwoman Martha Burke, a 38-year resident of Hailey, is making a run at her sixth term on the City Council. With a strong belief in giving back to the community, Burke does not see herself as a politician, she said in an interview last week. Her work toward improved city services in regards to parks, libraries, snow removal and air service were among her most proud moments as a city official. She said. She also noted her promotion of reasonable growth as a hallmark of her service on the council, as well as encouraging safer streets for pedestrians. “I want to see a really strong, walkable downtown,” Burke said. She said the city’s Urban Renewal Agency can serve as a valuable tool toward that goal. She specifically highlighted areas such as Airport Way and River Street as needing upgrades, while encouraging strategic business growth. Burke said she wants to emphasize logical growth, and seeks to continue “good city planning” in the future. Experience working with businesses to relocate to or stay in Hailey is another asset that Burke feels she brings to the council. She supported providing incentives for Rocky Mountain Hardware, which operates a facility near the airport. “We need more large companies that hire full-time, offer benefits and a real salary,” she said. While serving on the council, Burke was a board member of the Friedman Memorial Airport Authority for 15 years. She said she helped underwrite grants to improve air service. She worked for several years as a liaison between the nonprofit Fly Sun Valley Alliance and the Airport Authority, and more recently between Fly Sun Valley and the city of Hailey as a council member. In the future, Burke hopes to further improve the airport’s reliability without expanding the runway’s “footprint,” and explore new technologies in order to bring in more flights. If re-elected, Burke also wants to work toward resolving the city’s water issues, in order to stay current with state mandates, she said. “We need to consult the experts, acquire more water rights, figure out conservation measures, and make sure that our water supply is producing at the level it should be with no waste,” she said. Developing a new wastewater plan is also a major part of Burke’s agenda. She said the system is “unsafe, it’s terribly costly, and right now it wastes heat, gas and overall energy.” Burke said she wants to create a wastewater rate structure that would be equitable and affordable for Hailey citizens. Burke said she brings a wealth of experience to the City Council, having held her seat for five terms. Burke said serving on the council has taught her to stand up for issues she is passionate about. The city election is Tuesday, Nov. 5.